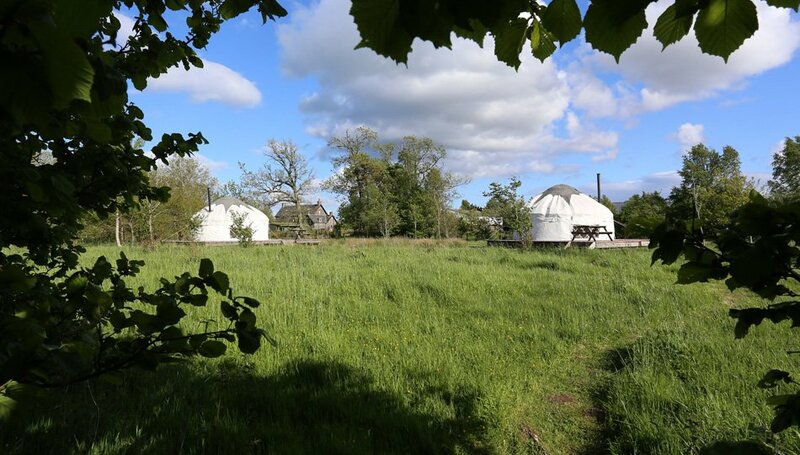 Our Yurts are set in the stunning landscape of our working 150 acre organic conservation farm on the edge of the Loch Lomond and Trossachs National Park – providing a great location for close encounters with the natural world, walking, cycling and enjoying this part of Scotland. 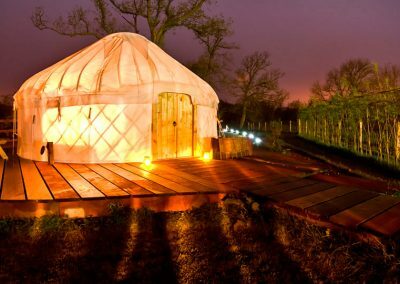 We have three 18’ diameter Kyrgyz yurts set on platforms with generous decking. 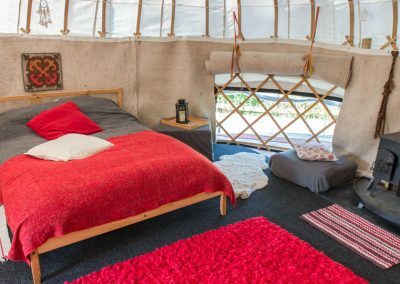 They are a fusion of the traditional yurt design and construction from Kyrgyzstan with the craftsmanship of a local yurt builder Red Kite Yurts. A boardwalk leads to the first yurt, Stuc a’Chroin. 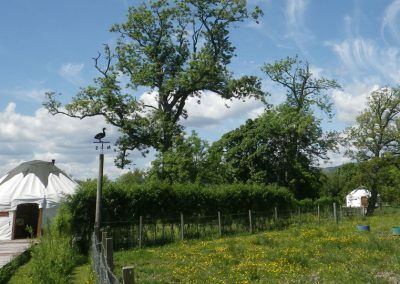 Stuc a’Chroin is in the orchard paddock (the yurt that is, not the mountain!) which is closest to the fully accessible facilities. 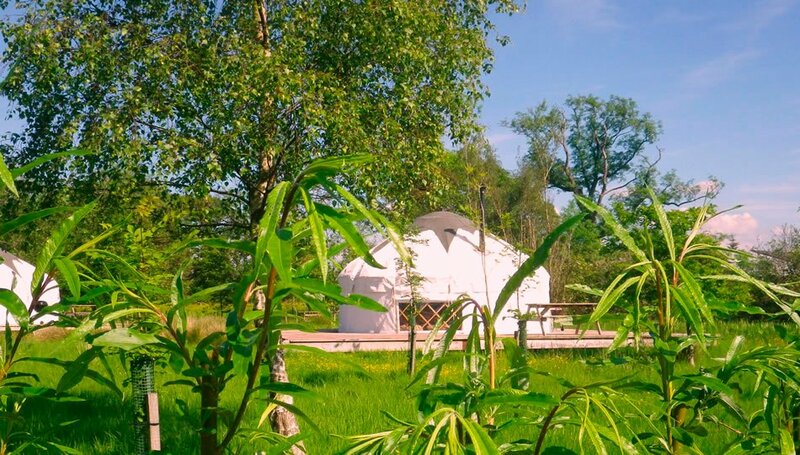 From the decking of the yurts there are panoramic big-sky views to the west across Flanders Moss National Nature Reserve to Ben Lomond and the Arrochar Alps and north to the mountains of the Loch Lomond and the Trossachs National Park – Ben Ledi, Ben Vorlich and Stuc a’ Chroin. The second two yurts Ben Ledi and Ben Lomond, are in the woodland beyond and are reached by a short path. The decking will keep you dry and give you plenty of space to sit – have a barbeque, or just chill. 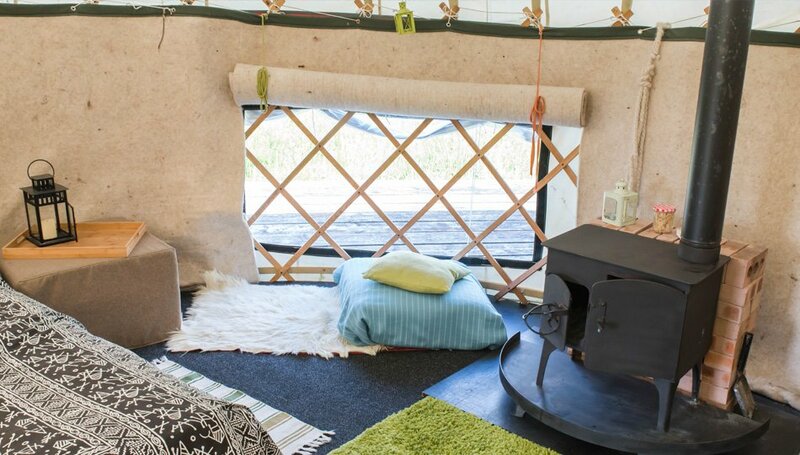 Inside they are really cosy with wood burning stoves. The stoves have an oven so you can be as adventurous (or not) as you like. There is also a gas hob and grill for simple things and cups of tea and coffee (there is a cafeteria), water is from the mains, and you have all the kitchen utensils and crockery you need. There is a shared kitchen with electricity – there you’ll find a fridge, cooker, microwave, kettle and toaster. Sleeping – there is one double bed, one double futon and one Futon company ‘sleep over’ so they will sleep 5 comfortably. Lighting is very atmospheric by solar and by lanterns. All sheets, duvets and covers, pillows and pillow cases are provided just bring your own towels. West Moss-side offers a special environment where you can experience solitude and tranquillity. The farm will be yours to explore – I have a small herd of rare breed Shetland cattle which are the conservation grazers on Flanders Moss National Nature Reserve. 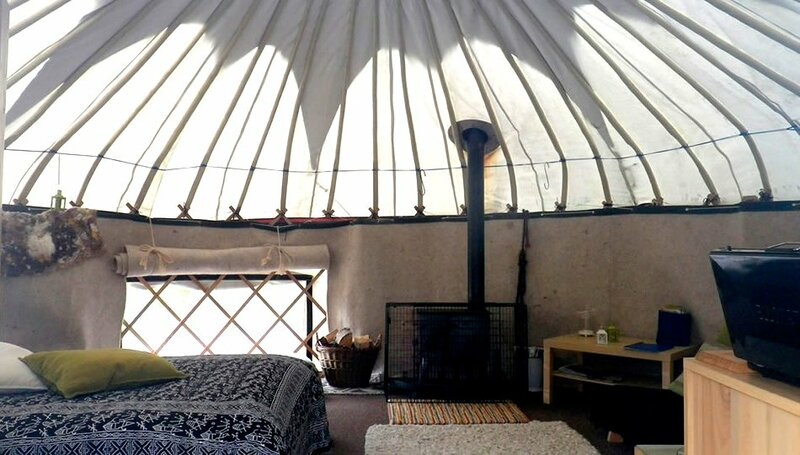 My organic Shetland beef can be sampled – barbequed or even slow roasted in the yurt’s wood-burning oven. 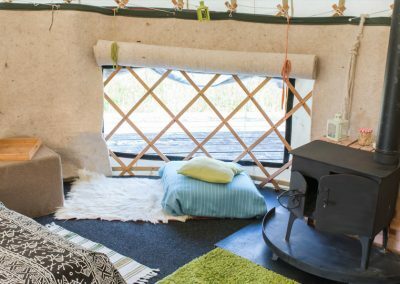 While you are here you will share the place with the wildlife – there are some specials to look out for depending on the season: red kites, ospreys, hen harriers, barn owls, skylarks, cuckoos, yellow hammers, peewits, snipe, curlew and in the autumn and winter 1000s of pink footed geese. The geese arrive and leave the same week as the swallows – that’s early October and mid-April. Gold finches nested in the ash tree at the centre of the willow labyrinth! 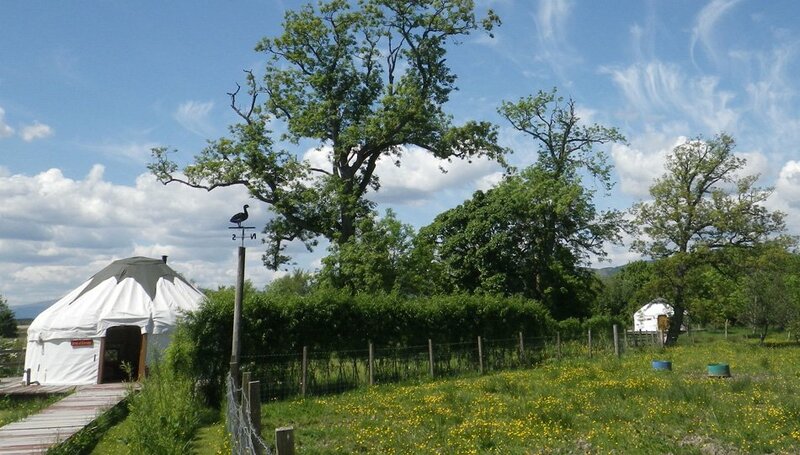 Please ask about dogs staying as this is a working farm with cattle and sheep in the fields. 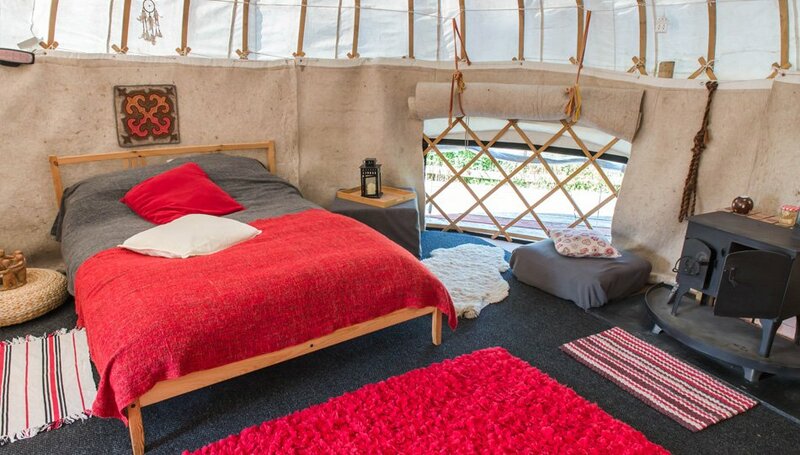 One yurt (Ben Lomond) is pet-friendly. My collie dog, Faith, likes to make friends. Where Horses Fly Like The Wind – The Silk Road Film Series. Within all cultures the circle remains the symbol of unity, representing the wholeness of all things and our interconnectedness with nature. 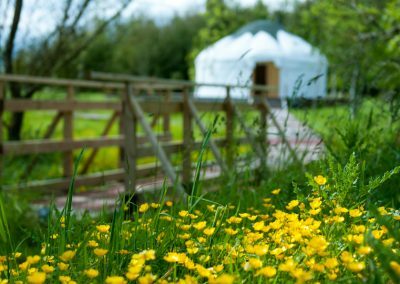 The essence of a slow holiday: Staying in a Yurt reminds us of what is important, giving us the opportunity to experience few possessions, our relationship with nature and the gift of simplicity. Our attention to detail results in an experience that treads lightly on the planet whilst offering the highest quality and luxury with simplicity. 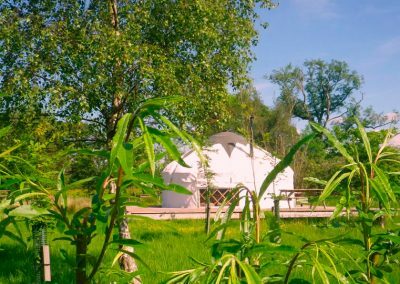 Red Kite Yurts from Callander sourced the willow for the rafters from Kyrgykstan which have been steam bent and finished in the traditional way by Nurlan in a village called Kyssl Tuu. We think that it is important to value the traditional craftsmen and to celebrate their work. 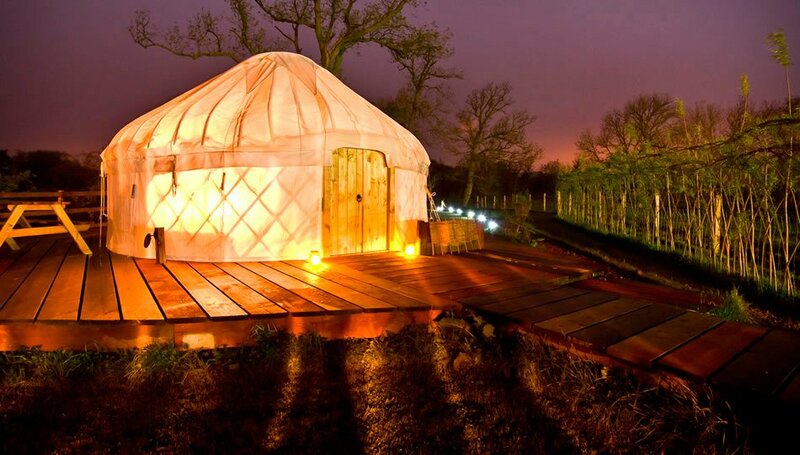 Yurts have been crafted this way for 1000 years. The timber for the lattice walls are Scottish ash. 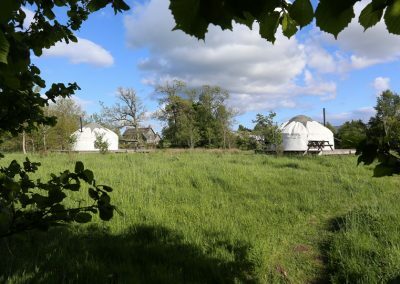 We aim to be as carbon neutral as possible and hope that our guests will be the same. Each step of the way has required questions, debates, pay-offs and final decisions based on the very best that can be provided today. We employ local people and our aim is to be as socially responsible and inclusive as possible. We try and outsource any work that is needed to local contractors and so keep the economy as local as possible. West Moss-side is a member of the Federation of Small Businesses. We also provide work experience for students from Green Routes. 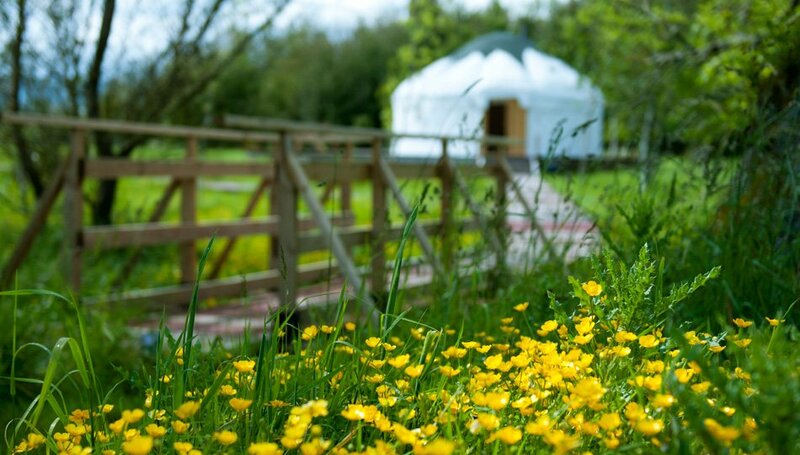 The yurts are only up from Easter to the end of October. Booking is made through Canopy and Stars. 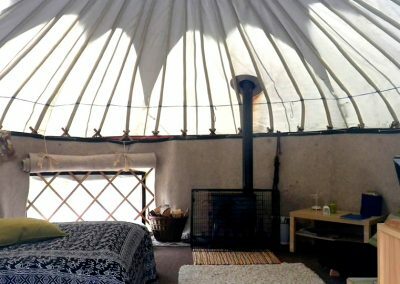 Prices are per yurt and can be booked for a 3 day weekend, 4 day midweek break or for the week (Fri afternoon -Friday morning). In the shoulder season it may be possible to have a 2-night stay. Pre-order local produce from the farm for your arrival including organic Shetland beef for the barbeque or the wood burning stove oven, local eggs and home made bread. Perhaps treat yourself to a ready meal or a full 3 course dinner prepared by Chef Andy Barrowcliffe. We would like to speak to all our guests so please contact Kate Sankey by telephone for more information. We have Booking Conditions which you should read carefully. The booking conditions of Canopy and Stars will also apply.